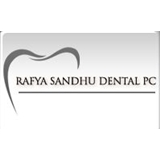 Rafya Sandhu Dental, PC (Westbury) - Book Appointment Online! Holiday special for invisalign book an appointment for consultation. Welcome to New York Smile Centers, an Invisalign provider. We are proud to serve the community in our two state of the art locations in both Jackson Heights and Westbury, New York. The majesty of a smile: whether it is on the face of a bride on her wedding day or an awkward teenager getting ready for prom, its warmth and power is overwhelming. Going to the dentist for most is not something they look forward to. We understand that, and go above and beyond to create a warm comfortable environment for your care. Our NYU trained team of professionals are seasoned on the latest techniques and quipped with the latest technology to provide exceptional dental care. The procedure went fine, only thing she was kind of yelling at another patient, while i was waiting for novocain to numb the tooth. I understand it is hard to deal with the public, and going to dentist stresses most out, still a bit more calmness would have helped.